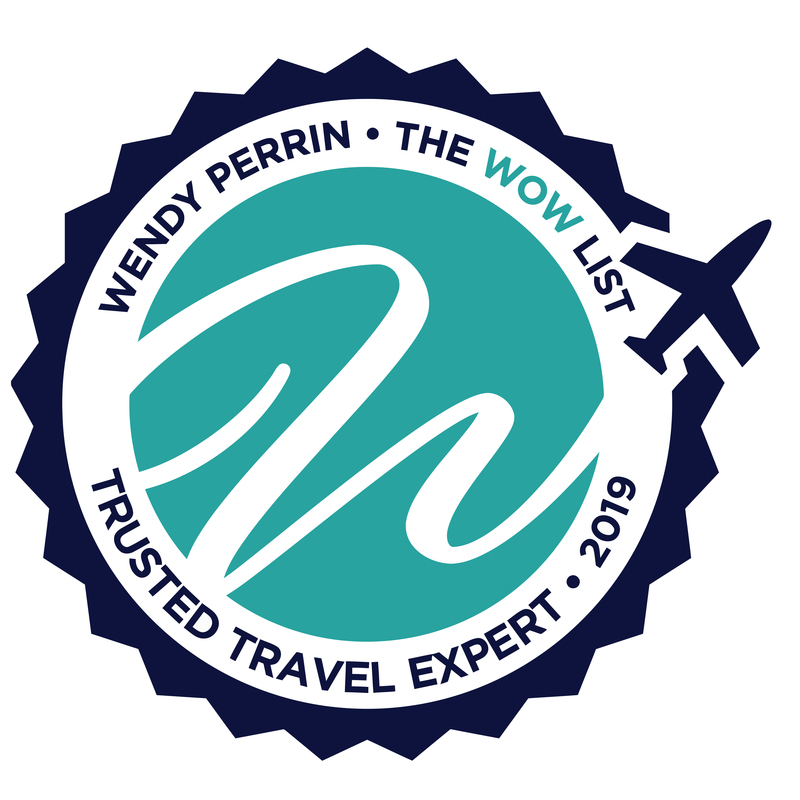 Joe Yudin and Jonathan Rose are on Wendy’s WOW List of Trusted Travel Experts for their expertise and connections in Israel. The reviews below are from real travelers who’ve taken trips that were arranged by Joe and Jonathan monitored by Wendy. Don’t miss Joe and Jonathan’s Insider’s Guides to Israel and Jerusalem, Israel. I first contacted Joe Yudin over a year ago. He patiently went through numerous itineraries before hitting on the perfect one for our group. I usually don’t like using travel agencies but after using Joe, I think I might have changed my mind. I have been to Israel several times in the past, and I was looking for activities that covered the basics for those visiting Israel for the first time and for new and interesting events for return visitors. Joe and Shirli set up so many outstanding and unique events. We learned so much on this trip because of the team’s ability to connect us with people who had different points of view, and this gave the trip real value for us. From our initial phone call with Joe, to our itinerary planning with Yogev, to our communications with Melissa and our post-trip call with Joe, everyone was professional, responsive and thorough. Joe and Yogev listened carefully to the type of travelers we are and the experiences we wished to have, and arranged our itinerary accordingly. Highlights for us were lunch with a Druze family, a visit with a Palestinian family in the West Bank, a briefing in the Golan Heights with an IDF reservist, powered paragliding, Krav Maga class, jeep tour, ATV ride and our guide Itay’s amazing storytelling at Masada. Our kids (ages 12 and 15) liked that we incorporated adventurous experiences into our itinerary, along with the more typical tourist sites. Airport transfers and VIP airport service were seamless. Our tour vehicle was clean and equipped with cold water, chargers and wifi. Overall our guide, Itay, was positive and enthusiastic, and he connected well with our children (a priority for us). Itay even called on friends to answer our questions when he knew of someone with specialized knowledge in the area about which we were asking. We learned so much on this trip because of the team’s ability to connect us with people who had different points of view, and this gave the trip real value for us. We did have some hiccups during our trip. Joe matched our children with Israeli pen pals prior to the trip, and our itinerary included a meet-up with the pen pals. This was never arranged and fell through the cracks, which was disappointing. Our guide seemed surprised when we asked about this, even though it was clearly on the itinerary. Our guide also seemed surprised when we asked about another item on our itinerary, a hike in Banias to a Druze pita stand. We felt that lunch was not considered on 3 of our 5 days, or considered so late we were eating at 3 or 4 pm. On our last day, we were more vocal about asking to please stop and eat earlier. The recommended hotel in Jerusalem (Herbert Samuel) was fine, but not a true 5-star as advertised. However, we liked the Pastoral, the hotel in the north that had been recommended. What really impressed me Joe’s group was my post-trip phone call with Joe. He listened to our feedback, both positive and negative, as he is sincerely committed to delivering top-notch service. He apologized for the hiccups, took responsibility for them, and promised to talk to his staff and do better. Despite the problems we experienced, we had a wonderful trip and would recommend the company. My advice for travelers booking with Joe is: (1) review the itinerary with your guide at the start of the trip to ensure you are on the same page; (2) ask when lunch stops will happen and for a range of options on what to eat; (3) be aware of the tipping policy when considering your overall trip cost; and (4) if anything goes wrong during your trip, call Joe, as I have every confidence he will work to fix it. Our overall trip experience was very good. But we had no direct contact with the travel specialist during the trip. We were handed off to independent contractors. In Israel, the travel specialist evidently did not communicate with the guide as to the specific purpose of the trip, which was unfortunate. We had to inform him (the guide) of the specific reasons for visiting certain sites and, after a time, he retooled his explanations to conform, at least in some respects. I’d just like to clarify that all 25,000 licensed tour guides in Israel are independent contractors. Joe has handpicked the best 30 or 40. Since the Urbans asked for a focus on the Crusades, Joe assigned them a guide who has specialized knowledge of the Crusades and who is, in fact, the head teacher/guide of Israel’s National Tour Guide course. And, of course, Joe designed an itinerary that focused on the Crusades. Without a doubt, Joe Yudin and his team made our trip to Israel unforgettable. We had experiences that we never would have discovered or done on our own. Our first day we toured Caesarea which set the tone on our way to the Galilee. One of our most special experiences was cooking with a Druze family and learning about their culture. Unfortunately, our son got ill on our first full day in Israel and ended up admitted to the hospital in Tzfat. Joe and his team, including our organizer Rivka and especially our tour guide Bena made a bad situation as easy as possible on our family. Once out of the hospital and back on track we spent time in Tel Aviv and Jerusalem and ended our holiday in the Negev exploring the Ramon Crater. We traveled to Israel to our son’s Bar Mitzvah and Joe’s team organized every detail. It is a moment our family will never forget. My suggestion is that you trust Joe and his team. They know about special experiences and have connections to make your trip to Israel better than you can even imagine by reading a few guidebooks our browsing the internet. The one must-do experience that I’d strongly recommend is the chef’s tour and cooking class in the Mahane Yehuda market in Jerusalem. Id be remiss if I didn’t mention that Bena was by far the best tour guide we’ve ever had. Our family has traveled all over the world and had private guides in many countries and Bena is the best. He was fantastic with three generations, fun, kind, knowledgeable and caring. I strongly recommend Joe Yudin to anyone who wants a private luxury tour that’s out of the ordinary. We traveled to Israel July 27-August 5, 2018 with Joe Yudin. It was a wonderful trip from beginning to end, thanks to our tour guide Lior. Lior quickly got to know our family (three adult children) and understood our style and preferences. Lior has a deep knowledge of Israel’s past and present, as well as the three Abrahamic religions and historical sites. His insight into the regions history and politics gave us a new and much deeper appreciation of Israel’s culture and challenges. Our visits into Palestine, with Palestinian guides, made the trip even more impactful. Food and accommodation were great. Highly recommend. Ari Melnik was a fabulous guide. Early into the tour one member of our group fell and broke her arm. Ari called for an ambulance and was with us throughout the time we were in the ER. He interpreted, pushed the wheelchair and did anything he could to make the situation easier on all of us. He is incredibly knowledgeable and tailored the trip for the biblical scholar as well as the regular tourists and no one felt left out. Ari needed to adapt to a wheelchair-bound member of the group and he did a wonderful job. I would recommend Ari to anyone traveling to Israel. The VIP Arrival was worth every cent, the VIP Departure, not nearly as well managed with the car arriving later than we were told it would. I turned to Joe Yudin the last two times my husband and I went to Israel to provide us with a few days of experiences during trips made to attend celebrations with our Israeli family. Having been to Israel numerous times, finding something new and different to do is a challenge. Each time Joe rose to the occasion. On one trip, I suddenly found myself with a free day and called Joe the day before to see if he could arrange a day trip for me. In an hour or so, he had located a great guide and suggested some recently excavated areas for me to visit. It was just what I was looking for. The next time, planning a little more in advance, I asked Joe to put together a four-day excursion during one of our trips. Once again, he came up with a recently opened resort with excursions to places we had not previously been to. Our guide, again, was terrific, and he added on a couple of fascinating and little-known places of his own. These included a town that is half in Israel and half in the West Bank which has no demarcation of the division and the residents freely engage with each other in both sections, and an underground ammunition factory disguised and operated under cover of a kibbutz training area and laundry critical to the 1948 War of Independence. When we thereafter found ourselves with an additional free day, Joe again on very short notice, put together an excursion packed with sites that represented dramatic, but lesser known, battles in the wars that followed. Apart from the excursions, he also directed me to a small, newly opened hotel in Tel Aviv that I had not discovered in my own research which was just perfect for us for the rest of our stay. Given what Joe has been able to do for us in small doses, I can only imagine how much more he would be able to do with more time and flexibility. I highly recommend him. Joe and Rivka were very detailed in their itinerary and always available for my (many) phone calls and edits. They tailored the trip to meet our very specific needs – family visits, walking restrictions, dietary restrictions, interests, etc. On our second day Rivka called to personally check on us and ensure we had all her information should we need anything on the ground. Every detail – from hotels to restaurant reservations and excursions – was carefully planned and we felt like VIPs the entire time. It was an amazing trip – the trip of a lifetime – that wouldn’t have been possible without Joe and Rivka, and especially without our guide Daphna. It was truly worth every penny. We never waited in line, the trip was tailored to our needs and pace, and we enjoyed every single thing. I would only use Joe in the future for our family or any friends traveling to Israel. We will be back. I have nothing but praise for the excellent trip that Joe Yudin arranged for my husband and me in August 2018. Joe has been doing this for a while so he can create the perfectly tailored itinerary for any client. Therefore, our last-minute trip turned out to be a really easy one to set up as after only two conversations with me Joe knew what to recommend. Israel is a small country but it was still great to speak with an expert who knew the distances and the best routes to take so that we could fit it all in. Hotels: The hotels were a highlight of the visit. The American Colony Hotel in Jerusalem was our favorite hotel and the beautiful plant-covered outdoor staircase from our upgraded suite was unforgettable. We were impressed with all the hotels -especially the Setai in Jaffa/Tel Aviv and the Effendi in Akko for their stylish designs. The Beresheet was also spectacular and when saw the Crater View Room with a pool we canceled plans for a day in order to enjoy the spectacular view of the Ramon Crater from our private pool. Considering we booked late we appreciated the efforts of Joes competent and efficient team (Rivka and Michal) to move the itinerary around to make sure that we stayed at the best places and for the upgrades and extras, they managed to get for us. Our guide Zvi was brilliant and the perfect fit for us; he was very patient and did not take offense to our intrusive questioning about Israeli life and politics but gently explained the situation as he saw it and all the different debates. With a background in education, he knew the history of the area in great detail and delighted in teaching it. Over the course of our days with him, he became a friend and colleague, not just a guide, and it was a pleasure spending time with him. He also introduced us to his impressive family who gave us a good insight into parts of Israeli life that would not have been apparent on just a tour. (Sharon, Zvi’s wife, cooked us a delicious meal for Rosh Hashanah). Zvi did a great job too of adjusting the schedule when we ran late or we made changes to our day so that we could still fit in everything we wanted to see. He also never rushed us (we are notoriously slow) and did not make us feel bad when the days ran long. Furthermore, when we made requests like wanting a sunset drink during the desert jeep tour he showed up with a cold beer. Altogether, Zvi was excellent and when we think of Israel we think of him and how much he taught us about a fascinating country. Our other guide, Ari, stepped in with only a few hours notices on our first half day and did a great job. He introduced me to the only Fashion House in Israel, Maskit, where I found the perfect dress and showed us some of his favorite spots in Tel Aviv. Out of all our recent trips, Joe did the best job as far as putting together some unique and really interesting experiences –such as the breakfast meetings with journalists, the Desert Embroidery exchange, the Kuchinate non-profit visit, the Stargazing lesson, and the Druze home hospitality. These experiences made the trip an exceptional one; it is what I expect from someone on the Wendy Perrin List – and Joe did not disappoint. I highly recommend him. My wife and I spent two weeks in Israel coinciding with our two boys birthright trip. We spent 8 days with our guide, Ari. Prior to the trip, I learned about Joe Yudin via Wendy Perrin. Joe personally helped us plan the trip it was a flawless, user-friendly experience he was great and connected us with his top guide Ari Ram. From the moment we landed to the moment we came home the trip came off perfect. Ari was an incredible guide and now our good friend. We spend time in the Golan Heights, Tiberias, then off to Jerusalem and ultimately Tel Aviv where we ultimately met up with our boys post birthright. From Joe’s staff to Ari the best guide ever, our trip was incredible and memorable. I would not consider traveling to Israel without expert help and planning, its too complex and there is too much to see and you need professionals to arrange the trip and a guide to make it educational, safe and fun! Thank you, Joe and Ari, for the trip of a lifetime. Our trip to Israel was fabulous! Our trip to Israel was fabulous! Joe and his team were so helpful before and during our trip. Our guide, Beno was so informative and fun on our trip. He recommended and booked dinners for us as well. We had a fabulous trip to Israel and Jordan arranged for us by Joe Yudin. Rona was our extraordinary guide and her encyclopedic knowledge of the country and her wonderful joie de vivre really helped make the trip. We did so many interesting things — took a graffiti tour, cooked with Tali Friedman and her team, went power paragliding — and met many interesting people — a former IDF officer, an Israeli Arab journalist, a settler from the West Bank. There were four of us traveling — two Christians and two Jews — and Joe and his team were sensitive to our interests and backgrounds. This truly was the trip of a lifetime. Our family just returned from an outstanding private tour to Israel and Jordan arranged by your specialist Joe Yudin. As we had requested, Joe provided us with unique opportunities to become acquainted with the current issues facing the state of Israel. We especially appreciated our breakfast with a respected Arab Israeli reporter for his informed insights, as well as our meeting with a retired Lieutenant Colonel of the IDF where we discussed the security challenges on Israel’s northern border. The special cultural experiences were also fabulous. How we wish we could shop every day in Mahane Yehudi market and cook our meals with a local Chef. Or dine outdoors on a feast prepared by just for us overlooking the fields of a kibbutz! A special thanks to Rivka on Joe’s team for pre-trip planning and even tracking down lost eyeglasses during the trip! The highlight of our trip, however, was being led by our extraordinary guide, Amir. As we traveled Israel, Amir vividly brought to life ancient cities, religious and archaeological sites, monuments and museums. He shared with infectious enthusiasm his vast knowledge of Israel, its people and its history. He is a master storyteller and his insights were invaluable and enriching. As we traveled the country, he proved to be flexible, patient and a pleasure to be with. I would recommend Joe and his team without hesitation to anyone who desires a luxury tour of Israel and wants to feel a true connection to this beautiful and amazing country. Joe Yudin and his team did an outstanding job in planning our trip…from start to finish. Gil was patient and worked with me to plan the itinerary. I had some specific ideas of what I wanted to see and do and Gil worked with me to include those thoughts and then added many of his own based our interest. Melissa then took over with the details of making the plan work. She was amazing and…so very patient. Ari was our guide and he was exceptional. He was whip-smart and added such a depth of understanding to what we were seeing. The market tour in Jerusalem done in conjunction with our cooking class was one of our best memories! As was the briefing at the Golan Heights. The only negative experience we had was our trip to Bethlehem. The guide we were handed over to was poor…rushing us through each step of the visit…taking my camera from me to take one picture after another and then whisking us to the next spot. We made the requisite stop at a souvenir shop and there he got into a quarrel with another driver while we sat in the van. The other driver angrily hopped in the car and drove us to our meet up point with Ari. We were certainly glad to see him! No fond memories of that stop, but fortunately that was our only negative experience in 9 days with Joe and his team. Highly recommend that travel planning team! This was an excellent journey for first time explorers of Israel and Jordan. The absolute most important aspect of a long tour like this are the guides and we had two excellent guides: Bena Mantel in Israel and Rabea Abu Rabea in Jordan. They were both amiable, experienced guides who knew how to contextualize thousands of years of history and religion in a way we can remember. They were both willing to answer my seventeen-year-old daughter’s near endless questions about religion and geopolitics. When I started research for this trip, I looked at various itineraries from other high-end companies. The layout of our itinerary and pacing was much better and much less stressful than any of the others which often include multiple internal flights. The weather affected the trip a bit. We had torrential rainfall the first day in Tel Aviv and steady wind and rain for our two days in Tiberias and the Golan Heights. Luckily, everything was fine for Petra and Wadi Rum. Something to be aware of for January. For my daughter, who is planning a career in the military, the highlight of the trip was meeting Lieutenant Colonel Zehavi. We both also really enjoyed our Druze dinner with Pnina. Bena did a great job bringing Masada to life and Abu took us off the beaten path in both Wadi Rum and Petra. And many, many other memorable moments. Even though we have traveled extensively throughout the southwest, Wadi Rum was amazing and Petra incredible. Old City Jerusalem is unfortunately jammed with cheap souvenir shops, but worth seeing—especially both of the underground tours. There is just a lot to take in: the food, the cultures, thousands of years of history, layer on layer… It is really overwhelming. It would be worth a second trip. There were some issues with lack of communication and understanding the budget in the planning stage; because of this I contacted Wendy for help and to his credit, Joe Yudin stepped in quickly and fixed everything. There were some other areas that could have been better for us in terms of advice for some sites, activities, and pricing of hotels, but overall it was a very good introduction to both countries. I don’t know what advice I would give someone planning to use Touring Israel; it can be difficult to be sure of what you want when traveling somewhere for the first time. I do know I could not have put a trip of this breadth and depth together on my own. What an incredible trip, tailored to our interests and implemented with such grace and skill by the extraordinary Joe Yudin and his staff and guides. We were two couples with mutual interests in history, culture, music, Israel’s military, and all interesting detours. In just 10 days, we climbed Masada, viewed Syria from the Golan Heights, floated in the Dead Sea, waded in the Jordan River, marveled at the wonder of Petra, met with IDF military trainers, shared breakfast with an Arab Israeli journalist, prepared a meal with a charming and beautiful Druze woman, touched the rock of Golgotha, ate street food that spanned the culinary landscape, toured the Judean desert, sipped delicious wine next to vines planted and tended by an intrepid winemaker, and the list goes on. A special thanks goes to the agent assigned to make all the arrangements, Monika. She’s a gem and charming. Finally, the guide assigned to us, Bena Mantel, was perhaps the best we’ve ever encountered: funny, resourceful, enthusiastic and very knowledgeable. Thank you, Joe Yudin and team for making our pilgrimage something we’ll think and talk about for the rest of our lives. We want to return and when we do, it will be through Joe Yudin and his staff. One of the most moving, educational and fun trips we’ve taken. Since retiring in 2011, my wife Susan and I have been busy travelers and generally take one long trip a year to places we have not visited previously. On these once-a-year trips, we’ve used recommended travel specialists from Wendy’s Wow list, and have been very satisfied with the results. On prior trips we’ve used; a) Earl Starkey for our three week trip around Turkey, b) Stuart Rigg for our one month trip to Australia and New Zealand, and c) we just came back from a great trip planned by Joe Yudin and his team. Never having visited Israel, we really didn’t know what to expect. Being Catholics, we did a little research prior to contacting Joe Yudin. Once we emailed Joe, he called back immediately and discussed with us the places we’d like to visit, taking into account our religious preferences. Joe put us in touch with Gil Haran in his team who worked with us on our detailed itinerary. We did this in the middle of June, one of their busy seasons. Gil had to go and lead a tour during this time, so Joe himself picked up from where Gill had left off and finalized our itinerary. Our trip lasted from Oct 17-Oct. 30th and ended up being one of the most moving, educational and fun trips we’ve taken. From the minute we were whisked through security with the VIP treatment Joe offered, to the time we were ushered through security on our way home, Joe and his team were attentive to our every need. We elected to have the guide for the entire trip also be our driver, which worked very well. My wife and I were concerned about spending so much time with one individual, but Joe assured us that if the chemistry did not work with the guide, he would change for another. From reading prior reviews in Wendy’s website, we requested Bena Mantel to be our guide, and he was assigned to us. We cannot say enough great things about Bena. He is fun, incredibly professional, and went above and beyond to make sure that our Israeli experience would be second to none. He is a walking encyclopedia, frequently referencing Bible passages to help us connect the physical locations with specific passages from the Bible, which he’s downloaded into his iPhone. When we visited Masada, there were incredibly long lines to get on the gondola, and he figured out a way to avoid them. Actually, we did not have to wait on lines at all during the entire trip. For our trip, we spent four days in Jerusalem, with a side trip to Bethlehem to visit the Church of the Nativity. From there we traveled north and visited Masada, swam in the Dead Sea, traveled to the Jordan Valley where we baptized ourselves in the Jordan River. We spent three days visiting sites in the north before moving down to Tel Aviv. We spent a couple of Days visiting sites in Tel Aviv. On the 11th day of our trip, we were supposed to fly to Jordan to visit Wadi Rum (the valley of the moon) and Petra. Unfortunately, I became ill and had to cancel that portion of our trip. When I could not finish the portion of the Tel Aviv tour due to my illness, Bena arranged for a doctor to visit me at the hotel. Joe and his team kept checking on me to make sure I was being well attended to. I felt better after a couple of days and on the 14th day departed Israel with a much greater appreciation of Israel, its history, people, current struggles and renewed interest in the Bible. My wife and I would highly recommend Joe Yudin and his team and in particular Bena Mantel as a guide. When my husband suggested that we visit Israel I knew that I would not want to attempt such a potentially problematic destination on our own. We turned to Joe Yudin, on of Wendy Perrin’s hand-picked travel specialists, to tailor a trip for us. Joe listened very closely, made great suggestions and produced an itinerary that perfectly matched our interests. The trip ran smoothly from beginning to end, and we felt very safe and well taken care of the entire time. The VIP fast-tracked entry and exit meant that we skipped the huge lines and avoided intrusive questions at passport control. Our expert, warm and passionate guide brought the stones to life for us: pathway, walls, tunnels, temples, archaeological sites, ancient cities, churches, monuments and other edifices became imbued with deep meaning thanks to his erudition, and we felt enlightened and enriched every day. Having a private guide and vehicle at our disposal enabled us to work through a dense and intense itinerary in the quickest most efficient way, and take breaks in the air-conditioned vehicle when the heat became too brutal. Highlights included a private fashion and style tour in Tel Aviv with a local insider, visiting boutiques and ateliers on small side streets and meeting with designers; a surprise stop at a hidden gem our guide knew about, the Austrian Hospice, where we delighted in sweeping, panoramic views of Jerusalem from the rooftop terrace and then enjoyed an Austrian coffee and cake in the tranquil gardens; wading through Hezekiah’s Tunnel (not for the faint of heart or the claustrophobic! ), a water tunnel that was carved thousands of years ago underneath the City of David in Jerusalem; peering into war-torn Syria while gaining an understanding of the complexity of the current geopolitical situation; and visiting the wonderfully curated memorial museum for the victims of the Holocaust where the Children’s Memorial is particularly poignant. On the whole, being in Jerusalem and following in the steps of Christ there and in Galilee felt surreal. The trip was more expensive than expected, but we would not want to do it any other way. I would not do the Tel Dan nature walk or bike ride again as they were not that special. The Jordan River mobile picnic by Chef Tal, a delightful, enthusiastic character, was good but we expected more in terms of the quality of the food and the presentation. Being served conventional ice cream from a box does not count towards what was billed as a gourmet experience. Visiting the Carmel Market with the lady from Delicious Israel was disappointing and this tour is in need of a serious overhaul, including the sequencing, which mixes savoury and sweet: she had us taste sabich (wonderful) and then a local sweet desert (not very interesting or good) and then hummus (it was very bitter) then gelato and then a cheese stick. While sabich and hummus are typical local foods, we did not come to Israel to eat gelato (sampling some halvah would have been more appropriate) or cheese sticks. Strangely, she described the cheese stick as the best food we would eat in our entire lives yet it was inedible. Thanks for your feedback, Ileana. We’re delighted you enjoyed your trip. I’m sorry that the bike tour and the Tel Dan nature hike were not to your taste. These excursions have proven to be popular — the nature hike includes the ruins of an ancient Israelite city and a 2,900-year-old temple that King Solomon’s rival Jeroboam built as an alternative to the Temple in Jerusalem — but in future, I will try to describe them more clearly, so as not to incur any more misunderstandings. The sequencing of the food tastings in the market is determined by the logistics of getting from Point A to Point B, then back to your waiting vehicle. Most travelers want to move around as efficiently as possible and save time where possible, but of course, everyone has different priorities, so we will take this into consideration in the future as well. This was our first trip to Israel, and at our age, probably our only trip so we wanted it to be special. Also, my wife is handicapped so we needed to use a wheelchair during most of the trip. This would have been impossible with a usual tour and was only made possible by taking this private tour with Joe Yudin and his team. At first, I thought I would push my wife in the chair, but after pushing her up the first hill I realized that was impossible. Our great guide, Lior, pushed her in the chair the entire trip, and was happy to do it. The itinerary planned for us was what we wanted. We stayed at first rate hotels, The Hilton in Tel Aviv, The Waldorf in “Jerusalem, and Scots hotel in Tiberias. All outstanding. They picked restaurants for us to eat every night which were all outstanding. Our guide Lior, was terrific, knowledgeable, kind, friendly, funny, and made the trip a huge success. We only had a few weeks to put this trip together, and they handled everything without a hitch. My advice, don’t hire anybody else. I wish I could work with them on all of our trips! Working with Joe Yudin and his team made our trip a life changing event! My husband and I were planning our first trip to Israel for the Maccabiah games in July 2017. We requested an itinerary that combined time to see both Jewish and Christian sites while not being too religious, have some time with additional family members also in Israel and afforded us flexibility for the games which were not yet scheduled at the time of planning. From the start, Joe was great to work with – he listened to what we were looking for, gained an understanding of our interests and mapped out an itinerary to match. His colleague, Maria, handled all of our arrangements and itinerary specifics and communicated efficiently about what was available during a week when space was limited due to the games plus the India PM visit at the same time! From the moment we stepped off the plane in Tel Aviv, we felt secure in the ‘hands’ of Joe, Marie and our wonderful guide, Shannie. We can’t say enough about Shannie – Touring the country with Shannie was the equivalent of walking around with Wikipedia, Google, Encyclopedia Britannica – you name it. Shannie knew everything – and he delivered this knowledge and answered A LOT of questions with graciousness and humor. We had solid laughs all week long. Additionally, Shannie took care of us with restaurant recommendations, knowing the really good local places to eat and prepping us for getting around when we weren’t with him. This team was also very flexible and Shannie adjusted our itinerary a little as the week went on and we uncovered a more interesting path for us. He and Maria made all the changes along the way with scheduling and tickets and entry fees. This flexibility really allowed us to shape our tour in a way that resonated emotionally. The only thing I wished I had done differently was my own preparation – Maria sent a list of suggested resources and books about Israel to review ahead of time and I wished I had done so to be better prepared. We really appreciated that both Joe and Maria called and texted us during the week to check in as well. We wholeheartedly recommend Joe Yudin and team. I wish I could work with them on all of our trips! Joe Yudin, and his team……TRULY experts. We had a LOT of fun…and we learned so much. We went to Israel for a family wedding and wanted to take time to see things in the Golan Heights and the Galilee that we hadn’t seen on previous trips. I explained this all to Joe and he was very understanding of my needs and concerns. With their extensive knowledge of the area, Joe and his staff put together a 2-day itinerary for us that was so much SMARTER than anything I could have planned myself. Joe’s staff was always very responsive to my phone calls and emails. The time difference between Israel and the US makes communication a bit tricky. But questions were always answered by the next business day.All arrangements were very clear and in writing for my approval. I felt very comfortable discussing the itinerary and business arrangements with Joe’s staff. All arrangements were very clear and in writing for my approval. I felt very comfortable discussing the itinerary and business arrangements with Joe’s staff. I was very impressed with the care that Joe’s staff took in arranging hotel accommodations for us. His assistant, Adi, checked out the hotels very carefully and made sure we were booked into a very fine hotel. When we got to our room, we couldn’t have asked for a nicer location. Daphne was our brilliant guide for 2 days. We immediately felt comfortable being with her. There wasn’t any question she couldn’t answer. And as she got to know us better, she made valuable and knowledgeable suggestions during the tour to tweak our itinerary that added so much to our visit. Joe’s staff made excellent dinner reservations for us and Daphne took us for lunch at places where we would never have stopped on our own. We got to experience the way the locals eat. We’ve hired many private guides on many different trips and even though it is more expensive, I have always felt you get so much more out of your experience than you could ever get from just using a guidebook or being on a big bus tour. A guidebook can’t give you so much insight into history and backgrounds. And it can answer your individual questions. On a big bus tour, you waste so much time while waiting for other people to buy souvenirs or use the restroom. I have always felt that using a private guide pays big dividends in your experience at the end. This tour was no exception. Our understanding of the history and culture of the area has been greatly enriched. All through this process I always got the feeling that Joe and his staff truly wanted to give us the best possible experience. I would hope to be able to use Joe’s services again and I hope I can convince other friends and family to join us. Joe really got the essence of our interests and created an excellent itinerary for a short period of time. Our guide was very competent. A few times, we felt time-pressured which would be my only complaints. A visit with a friend was cut short and the guide requested that we forego spa treatments at the Dead Sea. Overall, stellar experience. In spite of unusually difficult travel logistics (my daughter was stranded in NYC during a blizzard) materially complicating her travel our trip was as close to flawless as one could imagine for travel in the Middle East. Our drivers, guide, accommodations and logistics were excellent under challenging circumstances. I would absolutely use Joe and his team again and would absolutely recommend their team in Jordan. We traveled to Israel and Jordan March 17 – April 1. Thanks to Joe Yudin and his team we had a wonderful time in Israel. We highly recommend Joe and his company. Jon Cutler — our tireless, knowledgeable, affable guide was terrific. Jon’s knowledge of history was impressive. He also knew terrific places to eat — from the falafel stand near King David to a pizza place in the Jewish Quarter as well as all the top restaurants. This all made for a truly enjoyable trip. The van we used was clean, comfortable and stocked with cold water. Our driver was excellent and good company. I thought our itinerary for a first visit was perfect 3 nights in Tel Aviv, 2 nights in Akko, the Golan Heights, Sea of Galilee, 4 nights in Jerusalem, Masada and the Dead Sea, 2 nights at the Ramon Crater and then to Petra and Wadi Rum. Our guide made improvements to our itinerary based on geography and variety. We covered a lot of territories and we all thought each site was worth seeing. We enjoyed the Archeological Dig very much — our group found three intact pieces! We also enjoyed the stargazing and the jeep tour. The Petra and Wadi Rum days were also enjoyable. I knew we were in good hands when I saw the Abercrombie & Kent guides. Petra was impressive — a long walk in and a longer, hotter walk out but worth it. We did the candlelight evening the first night — I liked the walk in and out in while looking at the stars. It was a different experience and glad we did it the first night. We would have been too tired to do it the second night. Wadi Rum was spectacular. The jeep tour was the only way to see it. The two nights in Petra would be the minimum I would suggest seeing both sights. The Norman in Tel Aviv was excellent. Loved the rooms, the breakfast, the restaurants. Great service. Effendi in Akko. Great boutique hotel. Not for everyone, but we enjoyed it. King David. Classic, elegant, historic. Great service, comfortable rooms, enjoyable breakfast. Beresheet. Great property, fabulous views, activities, excellent breakfast and very good dinner. Movenpick. Excellent location. Would not stay anywhere else. Rooms were fine, two days was enough. The food was very good. Excellent — Dinings at the Norman, Maiar Tel Aviv, Mashya. Uri Buri, Fatoosh, Mona, Satya. Eating at the Carmel Market. Overall — it was a fabulous vacation and learning experience. We have a deeper appreciation and admiration for Israel and its people. We hope to make it back. We would definitely call Joe Yudin and his team for the planning, bookings, and tour. and highly recommend them to others. My husband and I traveled to Israel for a medical procedure. We knew we would be in Israel a while, but the uncertainty of the schedule of appointments made it impossible to plan ahead for any sightseeing. Finally, after being in Israel for a while, we were able to identify a few days open for sightseeing. I contacted Joe Yudin via Wendy Perrin’s website (having used WOW List guides in the past) and he returned my call within 5 minutes! I explained our situation, not really expecting him to be able to help us on such short notice. He made some suggestions, and within minutes we had agreed on trying to put together a couple of day trips. By the next morning, he had it all put together. We booked 2 separate day trips, a week apart, to different areas of Israel. They were fantastic days, both of them, with the highest quality, knowledgable guides who were also a lot of fun. I will always be grateful for Joe and his staff who really made our stay in Israel memorable, and would highly recommend them to anyone. 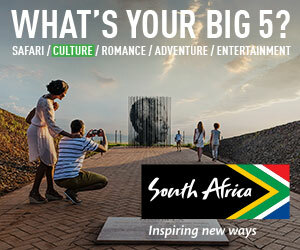 Several years ago I used Wendy’s website to research a trip to South Africa and Zambia. At Wendyperrin.com we found a great travel planner who arranged a wonderful private guided trip for me and my wife. So when we decided to visit Israel and Jordan, I figured Wendy’s site would be a great place to start our search for a travel planner expert – we were not wrong. We found Joe Yudin of Touring Israel. Joe came highly rated via Wendy’s site. All the details we needed were readily available and I was easily able to reach out to Joe for a private interview before moving forward. The results was a 10 day, private guided tour of all the spots we wanted to see in both Israel and Jordan. Joe and his team (Maria) made sure the trip met our budget and Amir, our private guide, made sure the experience was unique and special. Joe Yudin was excellent. He and his team “tailor made” our itinerary going back and forth to meet our specific needs (e.g., dive in Red Sea and side trips to Bethlehem and Petra). The ten days we spent with our primary private guide, Bena, were very interesting. He was extremely knowledgeable in both Old and New Testaments as well as archaeology, having studied the latter in depth. Our guide on the last day, Adam, was also very knowledgeable, and both were very personable too—very important especially if you are spending all that time together. We had a problem with a gift shop in Jordan (overcharged) and although it was not the responsibility of Joe Yudin Tours, they got back about 95% of our money (balance was wire transfer fee and bank charge on our end, which we will look into with the bank). We couldn’t take care of this ourselves because we were flying out the next day and would have had to go back to Jordan, etc. They really went out of their way to return the items and worked hard on our behalf, which we really appreciated. Overall a first-rate travel company. A belated thank-you for what you do — you helped me to find the amazing Joe Yudin, who made such a great difference in a group trip that I organized for about 17 people to Israel. He and his team were professional and seemed to understand (or at least they tried very hard ) our needs. We had a positive and overall pleasant experience of Israel, thanks to Joe—and you. Literally knocked our socks off! We are very seasoned world travelers and are very picky with touring outfits and guides. We always use Wendy Perrin’s WOW List. Her pick of Joe Yudin that we selected from her WOW List literally knocked our socks off! The trip with Touring Israel was a trip of a lifetime! We were in Israel for 16 days and wanted a highly personalized 13 day tour all over the country. From the first conversation with Joe/Gil on the itinerary, to last minute changes with Maria and speaking with Bena Mantel our tour guide prior to arriving- – , the Touring Israel team is highly professional, super customer focused and you can feel their passion for this country. From the moment we arrived in Israel at the airport we felt like royalty as we were whisked through security to a waiting car and off to the hotel. Bena Mantel, who was our tour guide ,was nothing short of phenomenal. His knowledge of archeology, religion, geo politics, and just about everything under the sun was amazing. Bena is super intelligent, with a great sense of humor and showed such excitement in communicating layers of history in a way both my husband and I understood and we felt his passion which was contagious. My husband loved his stories of his army experiences and what it is like to serve in the military in Israel, which is compulsory. What really set this trip apart form other personalized tour guides we have had were the interactions we had with Bena. I believe Bena opened doors for us to tour in places that other tour groups could not go and for that it was a much richer experience for us–Plus, he knew everyone at all the sites and one could see that all the people he came in contact with at the sites really liked and respected him and told us so. Toward the last part of our trip we wanted to change hotels and go back to Tel Aviv earlier (which we loved!) and Joe Yudin called us personally and made it happen in the blink of an eye. He secured us a deluxe room at the Norman, two days earlier than our planned stay there in Tel Aviv. Both the Norman and the King David were stellar hotels- -We had a suite on the sixth floor in the Kind David and a magnificent view of the old city which was truly magical. The Norman was in the middle of Tel Aviv and was perfect for us. Both hotels had superior customer service, great food and all the modern amenities one could think of in a 5 star property. I cannot say enough good things about the King David and the Norman. I originally wanted to stay at the Waldorf, but Gil and Maria convinced that the Kind David would fit what we wanted better and they were right! The trip to Israel was a long awaited lifetime vacation and it was such a beautiful spiritual journey with Bena and Touring Israel. This was the most stress free relaxing international trip we have ever taken, even though we were active every day. I highly recommend them to anyone that wants a luxury, personalized trip with customer service that is above and beyond. In December 2015, my husband and I enjoyed a phenomenal 8 day trip to Israel planned by Touring Israel. Our guide, whom we absolutely loved, was Ari Melnik (be mindful that there are two Ari’s who work with Touring Israel). Ari brought so much insight, meaning, and fun to our experience! We found Touring Israel through Wendy Perrin, formerly of Conde Nast. This is the third time we have used a guide recommended by her (first with Croatia and then with Turkey and Greece) and have had great success each time. Joe Yudal and Maria of Touring Israel were terrific from the very beginning…responsive, prompt, organized, and friendly. They availed themselves to us consistently throughout the trip. Touring Israel offers highly customized tours. Joe listened to our preferences and suggested an itinerary based on our interests. We travel together globally about ten weeks out of each year and strongly prefer traveling independently, just the two of us, as we love our couple time together. Thus, initially, we were a bit concerned about the idea of one tour guide being assigned to us for 7 days and driving us everyday. However, when we met Ari Melnik (again, be mindful that there are 2 Ari’s) any concerns immediately disappeared! He was fantastic. Over the course of 7 days, we experienced an incredibly diverse array of sights. We will forever be impacted by what we learned and experienced. Israel is an amazing country, and Touring Israel did a really nice job balancing biblical and ancient sights with museums and other sights relevant to the creation of Israel after World War II. Having Ari as a guide was perhaps what made this trip so much more meaningful than it otherwise would have been even had we followed the same itinerary. We were further able to customize each day and Ari was flexible and incredibly accommodating. He is well connected with Golan Heights wineries and it is obvious he is well respected by other guides. From him, we gained insight on life, politics and religion in Israel today, with its incredibly nuanced complexities. One morning, we expressed interested in going to an Arab grocery store. It was not on our itinerary. We spent about 30 minutes there, asking Ari dozens of questions, as we did everyday. It was such a treat to have him all to ourselves, as he is incredibly knowledgable, funny, and extremely easy to be with. Furthermore, Ari is exceedingly intelligent and well versed in literally thousands of years of history. He is a walking encyclopedia. He is skilled at communicating in layers accessible even to those who don’t typically take a strong interest in history. I have a Ph.D. in history and admired the way he takes very complex notions and communicates them in interesting, engaging ways. His knowledge base is so vast that he would be a great fit for those, like us, who love history but also for those who prefer the 3 minute sound bite. We could not imagine a guide who could have been any better. We were thrilled with our choice of Touring Israel and our good luck at being paired with Ari. We feel that we made a new friend and were genuinely saddened when the trip was over and we had to see “see you later” to him. What really set this trip apart from others was the personal interactions we had with Ari, Tali, the folks in the Golan Heights, etc. Ari opened doors for us that otherwise would not have been open to us. He introduced us to local people and encouraged us to be inquisitive in our interactions. He was culturally sensitive and offered perspectives on current Arab-Israeli relations we otherwise would not have heard. Essentially, we had a MUCH richer, more meaningful experience because of Ari. It was amongst the most entertaining and enlightening travel/educational experiences we have ever had. Israel is a fascinating country, and Ari made it all the more amazing. The Norman in Tel Aviv is a great boutique hotel. Good location. Latest in technology. Great rooms, breakfast, and bar. Service was excellent. King David in Jerusalem is a national institution. This is the hotel where visiting diplomats stay. Service was stellar. Our suite had a nice view of the Old City. It is definitely an experience to stay here. The Scots in Tiberias was charming and had an interesting history. Good location, breakfast, and service. It overlooks the Sea of Galilee and you can watch the sun rise over it in the AM, which was beautiful. Touring Israel provided great advice on hotels and we were extremely happy with all of them. Tel Aviv: North Abraxis was fabulous. Amazing lunch. Try the cauliflower, beets, tomato salad. Staff very friendly. Popino was OK, not great. Menu incredibly creative but disappointed in execution. Pronto was better than Popino. Good Italian at Pronto. Again, do not miss North Abraxis. Jerusalem: Mona was excellent. Chakra was unreal and so much fun. This restaurant is world class. Chakra was our favorite restaurant in Israel. Sit at the bar. Mach Nehuda restaurant was OK, not great. Fun atmosphere. Magdalena’s was very good. Avi’s is good for fun, casual dining in Tiberias. Palmach Museum in Tel Aviv was a great way to begin our visit and established an understanding of modern Israel. Loved Ari’s tour of the artsy, bohemian old neighborhood. We enjoyed the Western Wall tunnel tour and recommend it. City of David, Room of the Last Supper, King David’s tomb, Mount of Olives, Basilica of Agony, Garden of Gethsemane, Via Dolorosa/14 stations of the cross, and Church of the Holy Sepulchre are all musts. Chef Tali Friedman’s Mach Nehuda shuk tour and cooking class at her atelier remains a great memory. We loved spending time with Tali, who is gregarious, warm, personable, and extremely talented. Her sous chefs were friendly and patient in teaching us preparation techniques. We really enjoyed chatting with them over the 4 hours we spent with them. Furthermore, Tali gave great restaurant recommendations and went above and beyond in ensuring that our dining experiences in Jerusalem were top notch. She is very knowledgable and walking the shuk with her and cooking afterwards was a unique experience. We gained an appreciation of Israeli cuisine and the culture of the market that would have been unlikely had Tali not been with us. If you are at all interested in culture and cuisine, add this option to your trip. Everyone, however, should buy some tahini at the shuk. Yad Veshem Holocaust Museum- An absolute must visit museum in Israel. The exhibits are impressive and thorough, but what made the eperience for us was the commentary and guidance from Ari. His guided tour of the museum made an already meaningful and emotional visit all the more powerful. The way he concludes the tour when you exit the exhibits will take your breath away. The Israel Museum is highly diverse. It holds the Dead Sea scrolls, very impressive artifacts related to thousands of years of Israeli history, and a fascinating collection of contemporary art. We wish we had had more time there. Bethlehem/West Bank- we did a two hour excursion to visit Manger Square, the Church of the Nativity, Milk Grotto, the Shepherds Fields, and Church of the Good Shepherd… Israeli- based guides are not licensed to go into Bethlehem and Touring Israel arranged for us to have a driver and Christian guide there with whom we felt very comfortable. It was definitely an experience going through the checkpoints into Palestine. We are very glad we did this. We enjoyed visiting a really cute neighborhood in Jerusalem and seeing the Church of St. John the Baptist. Masada was amazing. If you are in decent shape, hike it! The average time it takes to walk/hike it is about 50 minutes. The views are beautiful. Dead Sea- we loved floating in the Dead Sea but didn’t love the resort where we swam and had lunch. The choices in the area aren’t fabulous. We only spent a few hours there, but would have stayed a bit longer had we been able to schedule spa treatments. Book ahead of time if interested. Even in December, the water was chilly but perfectly doable if one is interested in getting in and floating. Tiberias- Capernaum and Mount of the Beatitudes were beautiful and interesting. The Syrian lookout point was unusual and we enjoyed walking around and looking out into Syria. There were 2 UN peacekeepers keeping an eye on Syria and the border. The winery tours in the Golan Heights were fun and a nice change of pace. Ari is friends with a lot of the winemakers, which made it all the more fun. I’m fairly certain we were given special treatment bc of Ari (this happened in a lot of places). Tzfat, a village in the north that is a major center for the study of Kabbalah, was good for art, jewelry, crafts, etc. We enjoyed shopping there for a few hours. We visited 2 old synagogues, and per his usual, Ari brought so much significance and meaning to each place we visited. Finally, the sunset on the Mediterranean at King Herod’s Caesarea and aqueduct was spectacular. Israel is an extremely casual country. Even in its finest restaurants, people dress very casually. Israeli wines are impressive and the price point is very accessible. Hike Masada if you are in good shape. Great experience to walk as Jews did in the 1st century. We felt very, very safe in Israel, safer than we often do in the US. It is a very modern country and the people were very friendly. The impression we had is that most Israelis love America and Americans. Israel is a very small country. We spent 8 days in country, and while our itinerary was packed we were able to do most of what we wanted. Hiring a driver (and/or a guide whose name is Ari Melnik) is ideal! It was disappointing that bc of the current religious situation non-Muslims are not allowed on the Temple Mount. Be aware that you will gain a different perspective from having either a Jewish, Christian, or Muslim guide. We are Christian and enjoyed learning about Judaism from Ari. Jog along the promenade at sunset in Tel Aviv towards Old Jaffe. The weather in December was fairly warm in Tel Aviv and a bit cooler in the Golan Heights. Jerusalem was also pleasant. The Dead Sea was chilly but we were still able to float in it for a few minutes. Do NOT get that high salinity water in your eyes! Everyone speaks English. Literally, everyone we met. We used the VIP treatment at the airport upon arrival which was very nice. There was literally a car waiting for us wen we deplaned onto the tarmac. We did not use the service on the way back and it was fine. If you are flying business class, you will be shuttled through faster lines. If given an opportunity, sit at the bar in restaurants. You will be entertained and get lots of treats. The crowds are thin the week before Christmas in Israel and the weather was mild and pleasant. Great time to go!!! A trip to Israel will be a lifetime highlight, and your perspective on faith and the current global political situation will be enriched greatly by this experience. We returned home yesterday and I wanted to let you know what a wonderful trip we had. We were greeted by Motasem as we approached the customs area, and with amazing speed, guided us through customs and the visa process. We then met Adel, our driver for the week. He was friendly and professional. On our free afternoon in Amman, he was very accommodating of our requests to visit my daughter’s host family and to tour parts of the city we had not yet seen. Ed, our guide for the week, was excellent as well. He is very knowledgeable and engaging. He was able to tailor his discussions to our particular interests, while also educating us about the history of Jordan; both ancient and modern, and life in modern Jordan. He made suggestions for changes in our itinerary that improved our experience: he recommended that we visit Shobak castle instead of Kerak and that we move our jeep tour of Wadi Rum to the evening. We arrived so we could see the sunset in the desert. I do recall that Jonathan had initially recommended Shobak and changed it to Kerak when I asked questions about it, but I was glad Ed changed our minds–we loved Shobak. He was great with our daughter who is in Jordan for a semester, conversing with her in Arabic. The itinerary worked well for us. The Citadel and Jerash were very nice (I loved it, but my wife is not a fan of ruins and tolerates my interest). The trip to Mt. Nebo was good from a historical and biblical perspective, unfortunately the view was hampered by haze that day. For me, Madaba was the least rewarding part of the trip. Seeing the mosaic in the church was interesting, but did not engage us as did the rest of the trip. As I mentioned above we enjoyed Shobak, both the drive to the castle and exploring the site. What can I say about Petra other that it is amazing–the monuments, the history. Ed’s narrative helped us to appreciate the site and its significance, made sure we appreciated not only the treasury, but the other experiences in Petra. We climbed to the Monastery and the Royal Tombs. We did have our one regret of the trip in Petra; it was very hot by the time we were leaving and we walked out of the site. In retrospect, we should have chosen to have taken the carriage out. Our stay in Wadi Rum was excellent. Our jeep tour with our Bedouin guide was good and we greatly enjoyed staying in the camp and our dinner there. Because we moved the jeep tour to the prior evening, we asked to make a stop in Aqaba on our way to the Dead Sea. We made a brief stop in the museum near the shore (I don’t recall the name) and spend some time overlooking the sea and marveling at the beauty of the water and area. We have never experienced anything like the Dead Sea. We loved the experience. Joe seemed to think we were a little crazy wanting to go to Wadi Mujib (as did our guide Ed), but it was one of the highlights of the trip for us. Hiking in the canyon was fun for all of us and very different from the rest of out trip. We did hire a guide, which was a good choice, we did appreciate his help getting up some of the tough spots. The beauty of the falls at the end of the hike was a great reward. We loved the hotels that Joe booked for us. The Four Season was amazing–the most comfortable beds I have ever slept in a hotel, amazing service. We ate at the restaurants there twice and both were excellent. My wife is ready for another stay at the Kempinski resort at the Dead Sea. Again amazing service and food. We did partake of the services of the spa and had a top-notch experience. Thank you for helping to make our trip to Jordan a very memorable experience. I hope to travel to Israel in the future and will come to Joe to plan that trip as well. Joe and his team have their ears to the ground....We felt totally safe. Joe and his team have their ears to the ground and know what’s going on. We were in Israel on November 4, when an Israeli Border Police officer was critically injured by a Palestinian driver near Hebron–the latest attack in a wave of increased violence in Israel. Yet we felt totally safe. Our guide wasn’t going to take us anywhere that wasn’t safe. We felt safer in Israel than in some areas of New York City where you don’t want to go at night. There are parts of New Jersey that are more dangerous. We also liked that there were fewer tourists than usual in Israel. The religious sites were crowded, and there were cruise ships bringing in a lot of tourists, but other places were not crowded, and the hotels weren’t that busy, so they were going out of their way to do stuff for us. My husband and I used Joe Yudin to arrange a week-long tour focusing mainly on the modern country of Israel with stops in the Negev Desert, Tel Aviv, and Haifa. Starting with my phone conversation with Joe, I was impressed with his honesty, directness, and his desire to understand what we were looking for as travelers. The itinerary was tailor-made for our needs and desires. Adi Ziv worked tirelessly on turning the itinerary we made with Joe into a reality on the ground. She was extremely professional, always available, and a good communicator both before our trip and while we were in Israel. Our guide, Lior Laufer, was one of the best guides we have had in our travels. His knowledge was extensive in both current events as well as history. He customized our itinerary as we toured, canceling events and rescheduling in order to give us the best experience based on our sightseeing goals. One of our touring goals was to be off the beaten path and meet local people to better understand the modern country. Joe’s Touring Israel team set up fantastic meetings for us with an author, a journalist, a chef, a Druze family, a former IDF commander, Ethiopian immigrants, and a Tel Aviv resident who gave us a tour of the street art scene in his neighborhood. All of these we could not have accomplished on our own. We feel Touring Israel helped us achieve these goals. We told Touring Israel that we wanted to stay in hotels which reflected the local place and culture. The hotels were right on target. All of the hotels had excellent service. Additional touches that made Touring Israel stand out were the detailed itinerary they sent with a suggested reading list as well as a list of recommended restaurants in the cities we visited. Adi set up dinner reservations for us which were in walking distance to our hotels and which matched our tastes perfectly. It was so relaxing not to have to think about where to go or pick out a restaurant at the end of the day. One of the key elements in planning the perfect trip for us with Touring Israel was to be clear in our travel goals, the type of traveler we are, as well as being thorough in our pre-trip communications. On our way home, I commented to my husband that this was the most stress-free trip we had ever taken. It was also the most personal and customized. With Touring Israel, you do get what you pay for. I wholeheartedly recommend them to anyone wanting a personalized trip in Israel. We toured with Joe for our grand-sons bar mitzvah just last week. I have to say Joe was amazing not only did he plan an excellent site for the bar mitzvah at the wall but he followed up with some pretty special stuff. We have been to israel many times and I would put joe up there as number one guide and would not hesitate to recommend him to anyone. Joe shelia was the best. Best trip ever. I dotted and T crossed for all arrangements. He was on top of our trip from day to day and making any adjustments as desired or needed. Joe did a great job planning the trip with us and Daphne was a fantastic guide. Spent 2 1/2 weeks traveling in April 2015 with my cousin. Both of us are active senior citizens and we had a guide, Yoram Mor, who was provided by Touring Israel. The entire trip was planned by Touring Israel. We had a terrific time right from the start. The hotels selected for us were of the highest quality and were frequented by people who were very knowledgeable and experienced Israel travelers. It was a customized experience. We had some great food experience tours that involved going to the markets and trying many different local specialties, and we had one cooking experience where we met our guide Tallie and shopped in the market and then prepared an exceptional gourmet meal. We had an art tour of the Tel Aviv museum which was superior. One of my best touring experiences which Yoram provided was the walking tour of the City of David. Absolutely terrific experience. We had so many excellent experiences planned by Touring Israel, I can go on and on. We had some great experiences with meeting Israelis in different capacities. We met journalists, military people, art lovers, food lovers and had the most positive travel experience I can recently remember. Our guide Yoram was born in Israel and obviously his parents were Israeli. So there wasn’t much about the Israel experience that he could not help us with. On Independence Day he made a reservation for us at the most rocking Independence Day party that you could imagine, in a restaurant in Jerusalem . I highly recommend this experience for anyone at any age. Our family from the U.S. went to Israel for our grandson’s bar mitzvah. The entire trip was planned with Touring Israel and Joe Yudin was our guide for the entire trip, that took us from Tel Aviv to Jerusalem to a Beduin camp in the desert to Tiberas in the North and innumerable places in between. In Jerusalem there were 20 family members, for other parts of the trip there were only 6 of us. For the whole trip, we traveled in a large, very luxurious bus with a great driver. Joe and his team set up everything and everything was perfect, including making changes on the fly. The Bar Mitzvah service was at Robinson’s Arch at the Southern section of the Western Wall and Joe not only found a great progressive (Reform) rabbi to officiate, but secured the best location, above everyone else with places to sit and shade. He set up fun activities for the kids (surfing lessons, etc.) and great places to visit–Beit Guvrin, a firing range where we shot Uzis, the Palmach Museum, etc. Above all, in many different ways, he conveyed his love and pride in Israel and made sure we understood how extraordinary a place it is–our love for Israel, which we had from prior trips, manifestly increased from this trip. I can’t say enough good things about Joe and his company–our trip was a once in a lifetime experience–and we would recommend him highly to a large group or to a single family, like ours.